Apple proclaims each new iPhone model is the best one it has ever made. The company says every software update is better than the last. In general, Apple believes everything it does is awesome. There’s a consequence to declaring victory no matter what: it becomes impossible to define success. One example is the Apple Watch. In April 2016, one year after the device went on sale, CEO Tim Cook said first-year sales exceeded the number of iPhones sold in its first year on the market. That’s true. In the first 12 months of sales, Apple sold nearly 14m Watch devices, according to shipment estimates from research firm IDC. 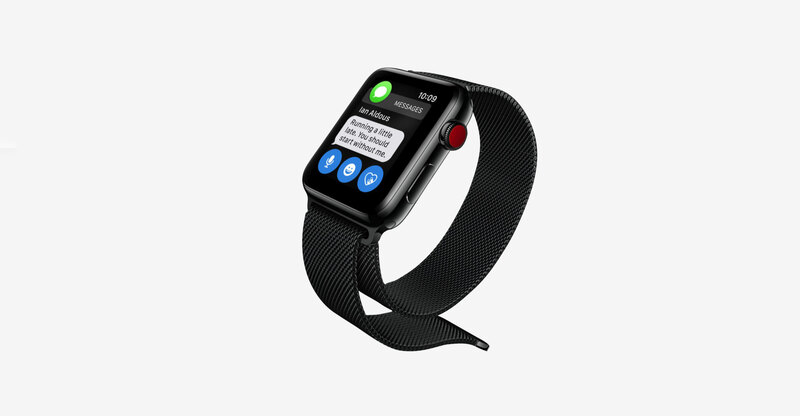 (Apple doesn’t disclose Apple Watch sales or its revenue from the device.) In the iPhone’s first year beginning in June 2007, Apple sold about six million units. I have written before about why Cook’s iPhone yardstick for the Apple Watch is a dubious comparison. Now, even Apple’s handpicked definition of success no longer looks so favorable to the company. In the second year of Apple Watch sales, the company shipped about 13m units, compared to 20m iPhones in its second year. And in a partial third year for the Apple Watch — the nine months ended 31 December — Apple sold 14m Watches, IDC estimated. In the same stretch of the iPhone’s third year, Apple sold 25m smartphones. Cook no longer compares Apple Watch sales with the early iPhone period. Apple executives now tend to say that the company’s smartwatch helps people “lead healthier lives” and that its owners are incredibly satisfied with the device, based on customer satisfaction surveys conducted by firms other than Apple. Does Apple judge itself by third-party customer satisfaction surveys? Are those credible ways to measure people’s happiness with the Apple Watch, or the success of the device in general? I don’t know, and Apple certainly doesn’t say. That doesn’t mean the Apple Watch is a flop or a hit. The point is that Apple makes it tough for outsiders to judge for themselves. That’s in part because the company tends not to disclose the sales of ancillary products such as the Apple Watch, Apple TV and AirPods headphones. I assume Apple also won’t disclose sales of its new HomePod speakers. Apple further compounds the difficulty by declaring its products are doing great based on handpicked measures of success and then tossing those measures aside when they don’t look so good anymore. It’s worth noting that even if some of Apple’s products are hobbies, they can be financially eye-popping extensions of the iPhone. If each of the 14m units Apple shipped in that nine-month period I mentioned were the company’s US$329 entry-level model, sales would have amounted to $4.6bn. That’s a very nice hobby. Apple’s entire “other products” category — which encompasses the Watch, Apple TV, Beats products including headphones and more — generated $14.3bn in sales last year. Cook is fond of employing the Fortune 500 as a yardstick for his businesses, so this one is for him: the revenue from “other” products slots just behind Waste Management, which Bloomberg data show has the 207th-largest revenue among US companies. Apple never discusses its strategy, or why it does what it does. That makes it hard to know whether or not the company intends for the Watch, HomePod and other ancillary products to be lucrative side hustles but not necessarily world-changing innovations on their own. And the trickiness of gauging Apple’s success even applies to Apple’s most important product. Is it fine that Apple sold fewer phones in the most recent holiday quarter than it did in 2016 and is relying on price increases to keep growing? Apple executives are perennially rosy, at least until it becomes glaringly obvious that something is going awry. Previous ArticleIs the party over for the rand?